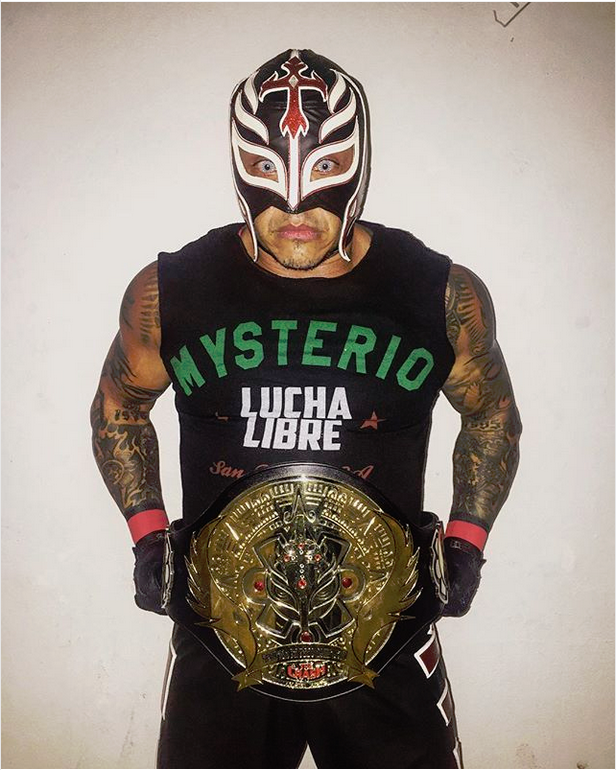 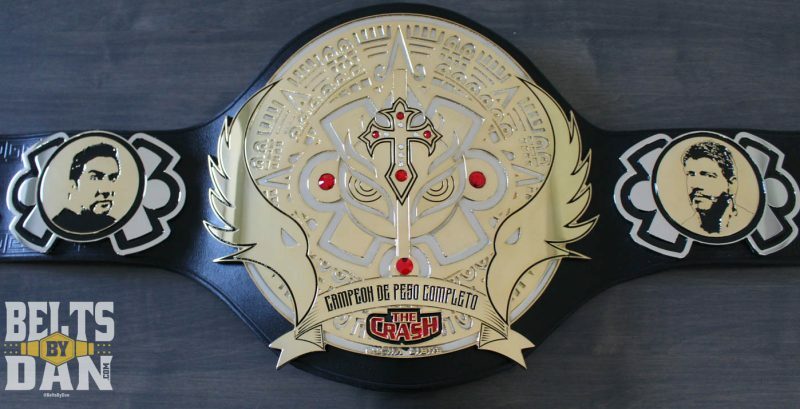 This custom Heavyweight Championship was made for Konnan and Rey Mysterio Jr. for “The Crash” Lucha Libre. 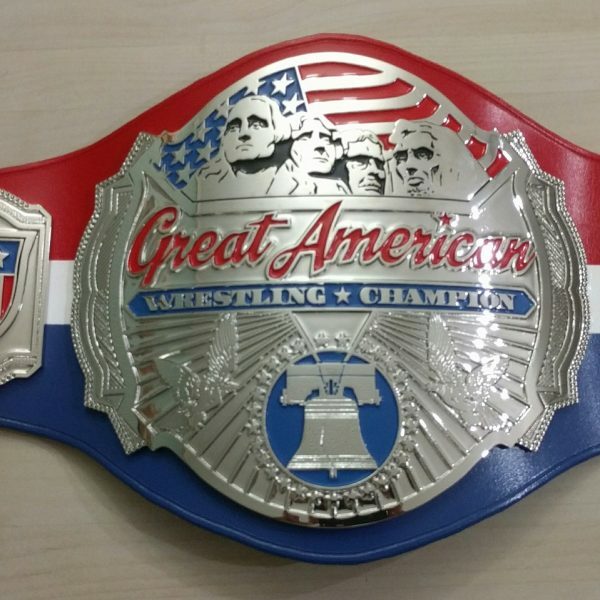 Artwork was done by Oscar Jimenez who has done art on numerous AAA and Lucha belts. 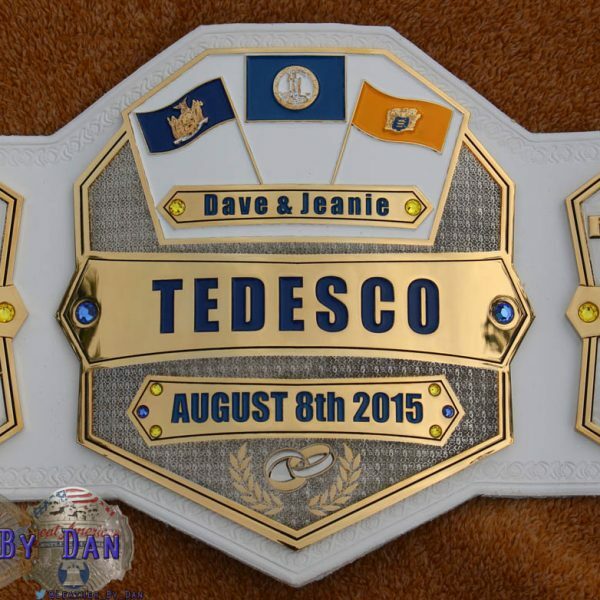 I was commissioned to make the belt after some modifications on the artwork. 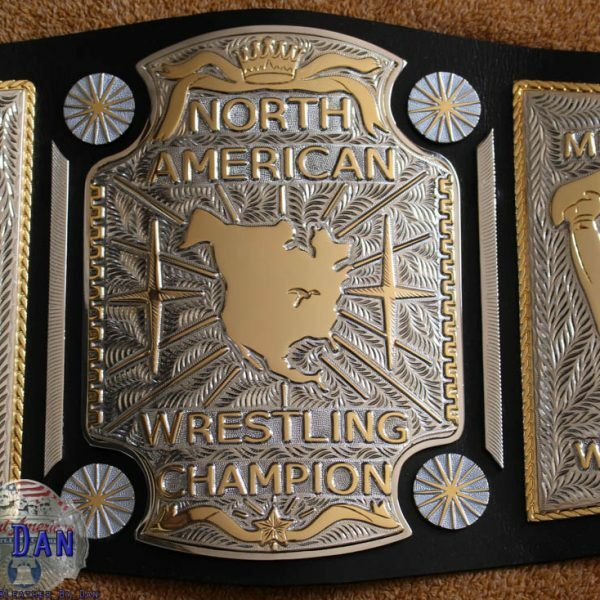 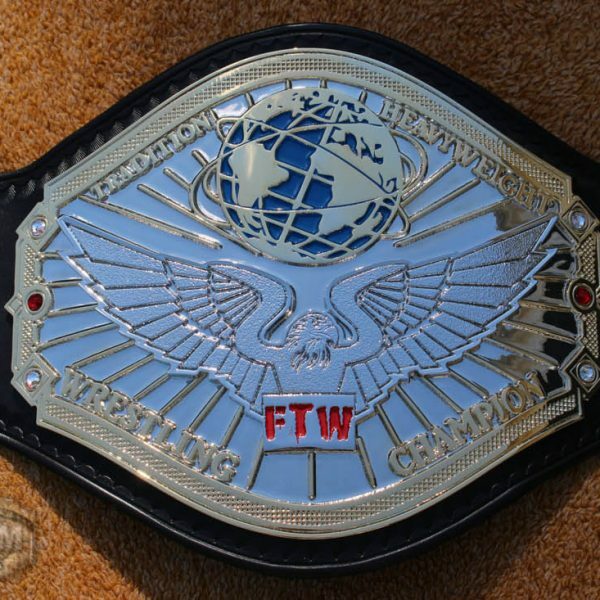 This belt is 5 plates, dual plated on a black leather strap. 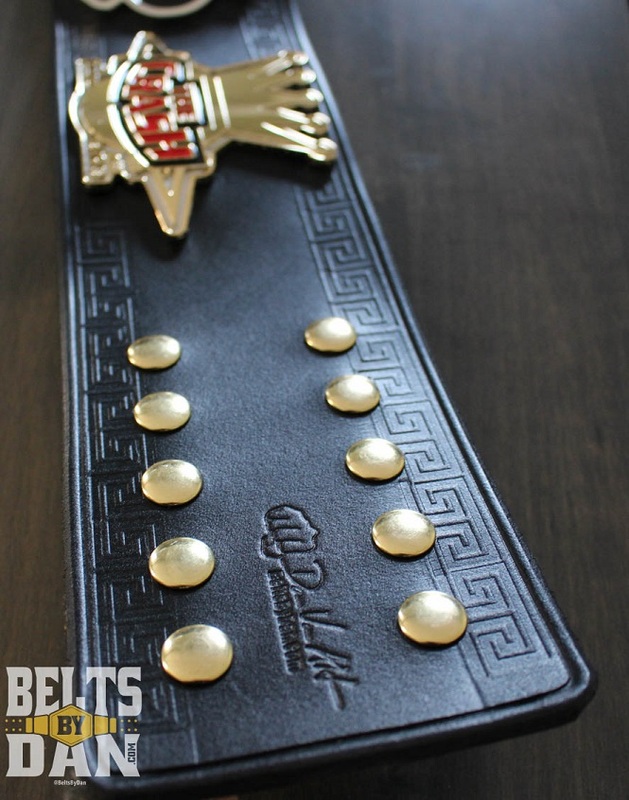 The strap features the “double” key style Aztec tooling. 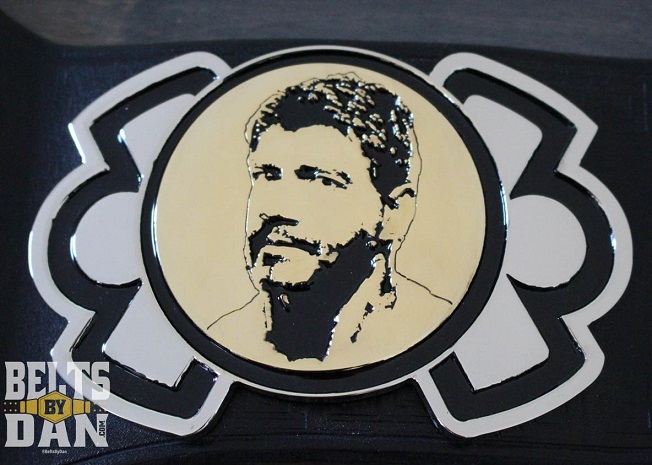 On the side plates, murals of Perro Aguayo Jr. and Eddie Guerrero pay tribute to these Lucha legends. 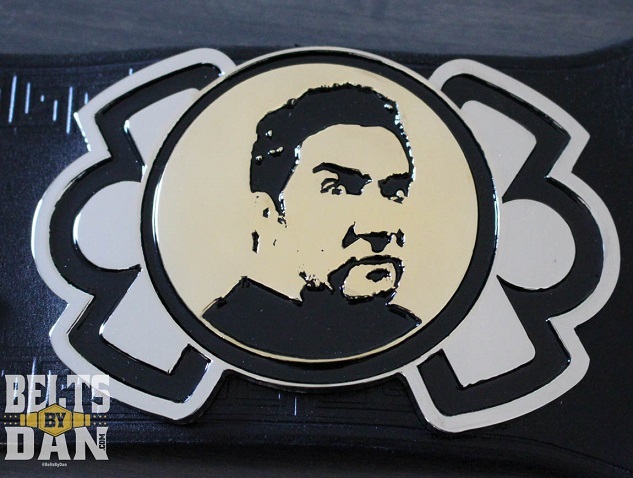 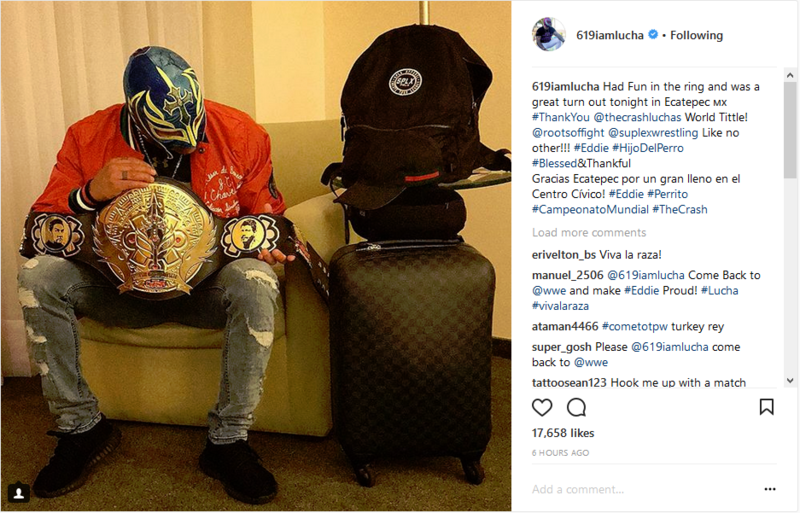 The main plate features a modern re-working of the Aztec calendar including a center face/mask very familiar to most wrestling fans.